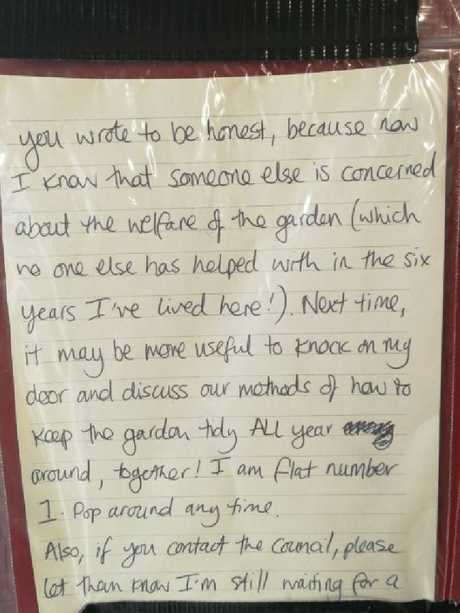 A TENANT has sent Twitter into meltdown with her hilarious response to a neighbour's angry note about her garden. Keli Thomson had a nightmare week after her bathroom floor sunk and required an emergency refit - all while her landlord was on holiday. And the 24-year-old was stunned to find a note moaning about the rubble in her Edinburgh garden when she came home on Friday afternoon. 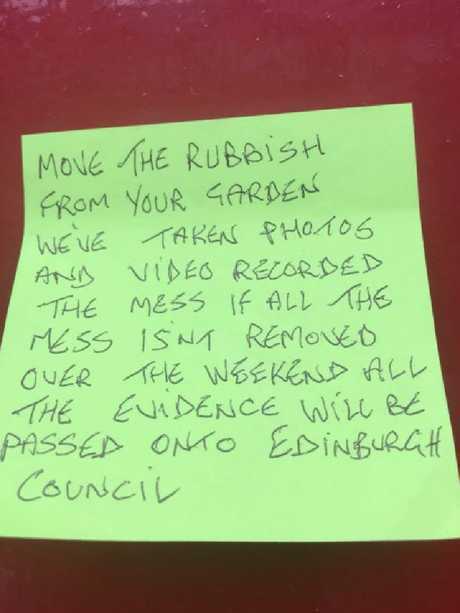 In the note, the mystery moaner threatened to pass on pics of the mess to Edinburgh City Council if it wasn't removed immediately. They said: "Move the rubbish from your garden. We've taken photos and video recorded the mess. "If all the mess isn't removed over the weekend all the evidence will be passed on to Edinburgh Council." At this point, "notegate" hilarity unfolded. 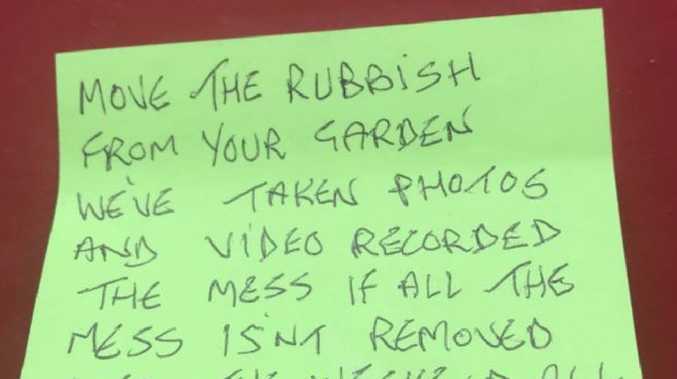 The singer shut down the "Angry Sir/Madame" with a sarcastic four-page note of her own - inviting them round for a cuppa and asking them to chase up the council about recycling bins when they call in the complaint. 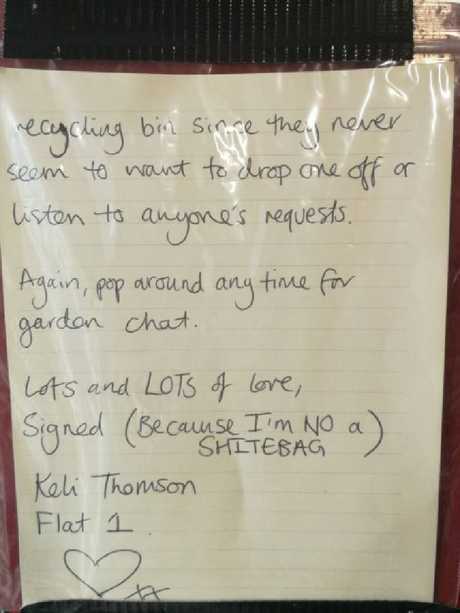 Amused Keli also branded the mystery complainer a "s***ebag" for not signing their name on the note. 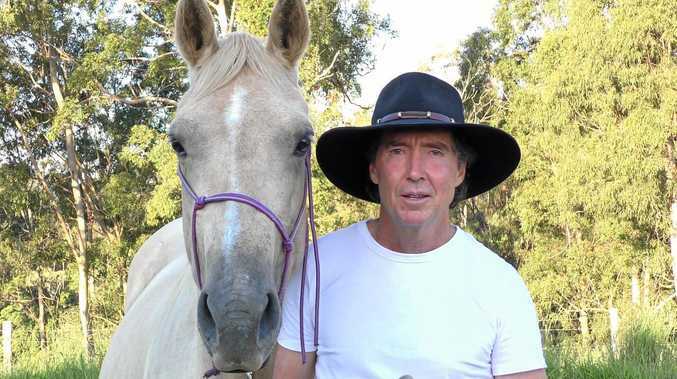 But Keli's response was quickly ripped down and replaced with repeated threats. So, naturally, Keli penned another reply - and even framed it. 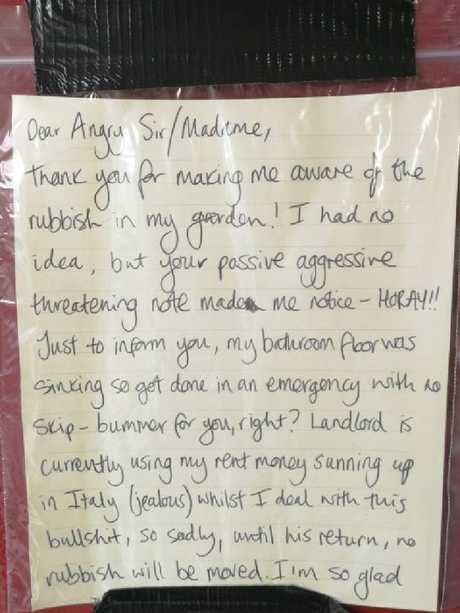 Keli has now swapped six notes with her angry neighbour - and other residents in the close are backing her in the neighbour wars. Her Twitter commentary of the exchange has already racked up 13,900 likes and over 2,000 retweets since it was posted on Friday afternoon.